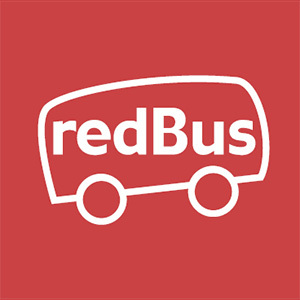 Subscribe to get deals from hundreds of merchants including the best of redBus! Oops! Looks like there are no active promotions for redBus. Valid till 30 June 2018. Valid for purchases of bus ticket(s) travelling between Singapore and Malaysia which are made online via redBus web portal or mobile website at www.redbus.my / www.redbus.sg or through the redBus mobile app (Android & iOS) with an offer code applied, RBUOB‹first 6 digit of UOB Card›, upon check-out. Payment must be made with a UOB issued MasterCard®, Visa Credit Card or Debit Card to enjoy the discount. 20% OFF promotion is only applicable for new redBus users ('new users') who have not registered an account and made a purchase before. 20% OFF is limited to one (1) redemption for new users throughout the promotion periods and 8% OFF is applicable to one (1) subsequent booking of new users only. 8% OFF is limited to two (2) redemptions for existing users (who have an account with redBus registered before the promotion periods) throughout the promotion periods only. Promotions are not valid for bus ticket bookings made via travel agent(s). Ibibo Group PTE Ltd. ('redBus') reserves the right to cancel bookings made by travel agents and/or if it suspects the bookings to be fraudulent in nature. Promotions are not valid in conjunction with any other on-going promotions, packages offers, group purchases, discounts, privilege cards or vouchers. UOB makes no representation as to the quality, merchantability or the fitness for any purpose of the goods and/or service(s) provided by redBus. Promotions are subject to other terms and conditions as may be imposed by redBus from time to time. UOB Online Privileges' General Terms and Conditions apply.. Please always check with the merchant on the validity of the promotion before purchase.